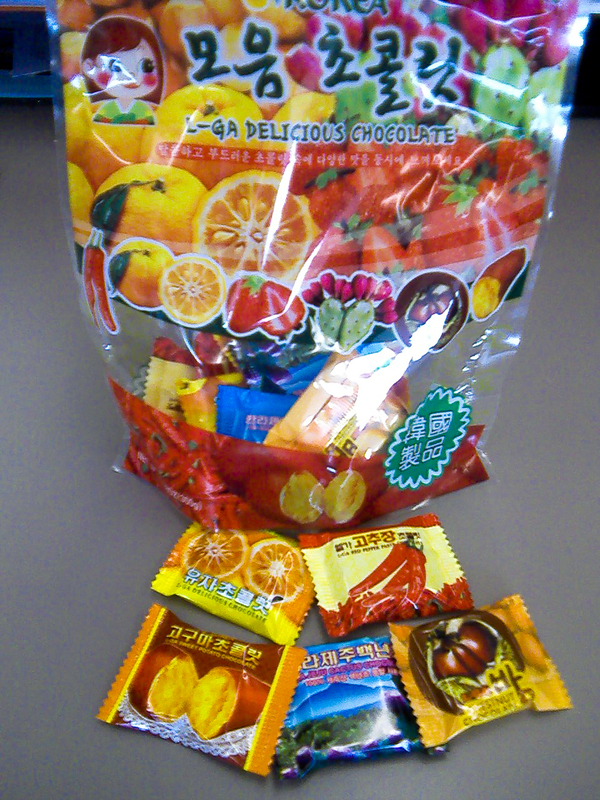 Recently a co-worker went to Korea on business and brought back a package of chocolates to share with her friends. The collection included chocolates with chestnut, cactus, red pepper, sweet potato and mandarin orange fillings. Orange filled chocolate is one of my favourites but I’d never tasted (or even heard of) the other varieties and I got to try two of them. The cactus filling tasted somewhat like raspberry. The chestnut filling tasted like, well, chestnut. Delicious chocolate. Is there any other kind? Imaginative flavours! Can’t even imagine red pepper.